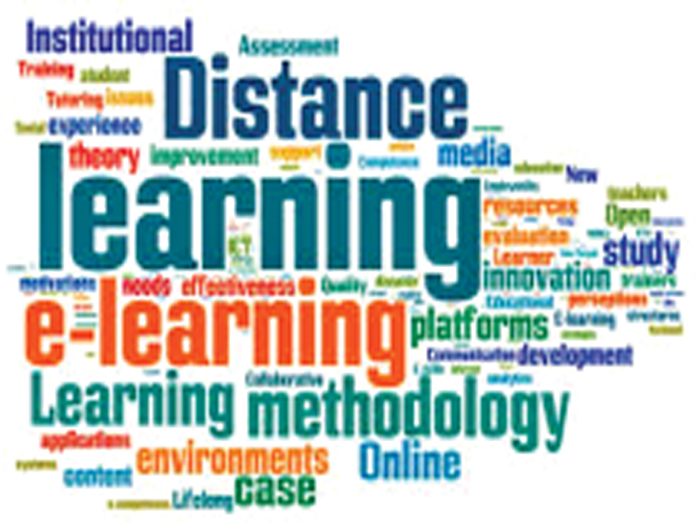 Can UGC address challenges to Open Distance Learning? Considering the significant role played by Open and Distance Learning (ODL) in increasing access to higher education in India, the Indian government last year announced it would recognise degrees, diplomas or certificates awarded through this mode at par with those obtained through the regular mode of education. ODL has led many people belonging to the disadvantaged group, such as those living in remote areas, women affected by gender bias and also many working professionals seeking to upgrade their skills according to the changing market conditions, to enroll themselves in institutes of higher learning. Recognising the degrees obtained through ODL at par with the conventional system for the purpose of employment, primarily in the public sector undertakings, or for pursuing higher education, will aid in increasing enrolments in distance learning programmes and also help in closing the skill gap the country faces. In addition to the declaration of degree equivalence of ODL institutions and the regular universities, the University Grants Commission (UGC), the regulatory authority for the ODL education in India, as a quality assurance measure, derecognised the distance learning programmes which require hands-on experience, such as engineering, medicine, dental, pharmacy, nursing, architecture, physiotherapy and other such programmes. Further, for professional programmes such as MBA, MCA, B.Ed., M.Ed., Hotel Management, Travel, and Tourism, recognition is no longer accorded without prior approval of the respective regulatory authorities. For the private universities, the rules for offering distance education courses have changed; they are no longer allowed to run ODL programmes for which similar programmes are not offered in the regular mode of education in the last five years, owing to the lack of experienced faculty in the particular ODL programme offered by the university. which evaluates the quality of the education institution in terms of various performance parameters, and based on the assessment assigns a Cumulative Grade Point Averge (CGPA) to it. According to the latest UGC guidelines, higher education institutions which have a valid accreditation of NAAC of minimum CGPA of 3.26 on a 4-point scale and have completed five years of existence are eligible to apply for providing distance learning programmes. To further complement the ODL and regular university education systems, the government launched SWAYAM, a digital programme of learning, by bringing online hundreds of courses taught at the university/college level to the learners from varied backgrounds, and giving them a unique opportunity to expand their knowledge and skills. For a student, the incentive lies in earning credits which could be transferred to the current academic record; for working professionals, the incentive is upskilling at a very low cost. To assure the quality of the content produced and delivered through SWAYAM, the courses have been prepared by specially chosen faculty from across the country. National coordinators have been appointed for different categories of courses for assuring and managing the quality of the courses – AICTE for self-paced and international courses, NPTEL for engineering, UGC for non-technical post-graduation education, CEC for under graduate education, NCERT & NIOS for school education, IGNOU for out-of-school students, IIMB for management studies and NITTTR for Teacher Training programmes. According to the All India Survey on Higher Education (AISHE), 2017-18, distance enrolment constituted about 11 per cent of the total enrolment in higher education in India. Presently, to provide ODL education in India, there is one Central Open University (IGNOU), 14 State Open Universities, one State Private Open University and 110 Dual Mode universities that offer education through both regular and distance modes. These universities are mainly concentrated in six states, with Maharashtra, Delhi, Tamil Nadu, Kerala, West Bengal and Uttar Pradesh enrolling 61.3 per cent of distance education students in the country (AISHE, 2017). Looking at the year-wise trend in the open learning enrolment in India, there has been a decline in enrolment in most of the undergraduate level programmes, except for Masters in Business Administration (MBA), where student enrolments increased by 23 per cent over the period 2016-17 to 2017-18 (AISHE, 2017). While a majority of the students choose the traditional mode of education, ODL has a tremendous potential to reach the disadvantaged sections of the society, for whom higher education in the traditional setting is inaccessible. In fact, the ODL education can play an instrumental role in achieving the target Gross Enrolment Ratio of 30 per cent in higher education in India by 2020-21. The recent government initiatives in assuring the quality of ODL education will aid in overcoming some of the challenges faced by this system, and also possibly result in greater enrolments of students who were earlier disregarding the distance mode of learning due to non-recognition of its degrees/ certificates, or due to quality concerns about the institution providing these, or the content of the courses provided and delivered.